So, it’s the big comedown after the main event, the weather gods have finally let us have it after holding off all weekend, all the drains on my street are totally blocked. The city is slowly being returned to normal. Is anyone else sad it’s over?? Big ups to all the police and emergency services and cleaning crews and volunteers and everyone who helped make it happen. It was a brilliant weekend! Cardiff at its resplendent best. 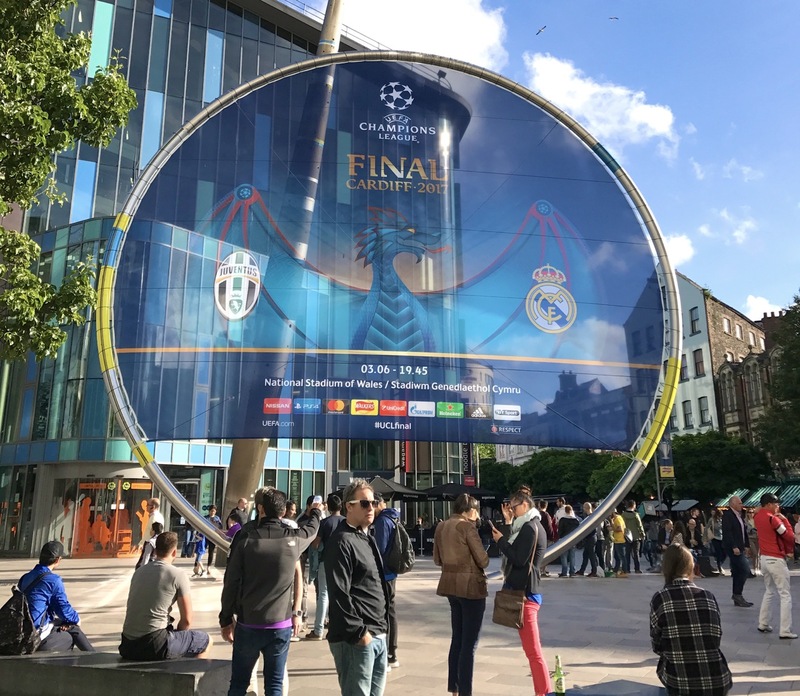 "This is my 4th day and I think I've fallen in love with Cardiff"
We also really like this story from Wales Online: To all the Champions League fans, volunteers and staff – Cardiff says DIOLCH! Fav bits: over 1 million pints pulled in the city over the weekend, 20,000 half’n’half trays … nice! PS if you’re interested in the community aspects of the game, we suggest following our pals at Eat Sleep Footy Repeat – they covered the 1600-strong girls match in Llanrumney last week, and report on all the best parts of the sport around here!